Whether you intend to or not, leaving out key portions of an argument trends a story towards propaganda and coercion. 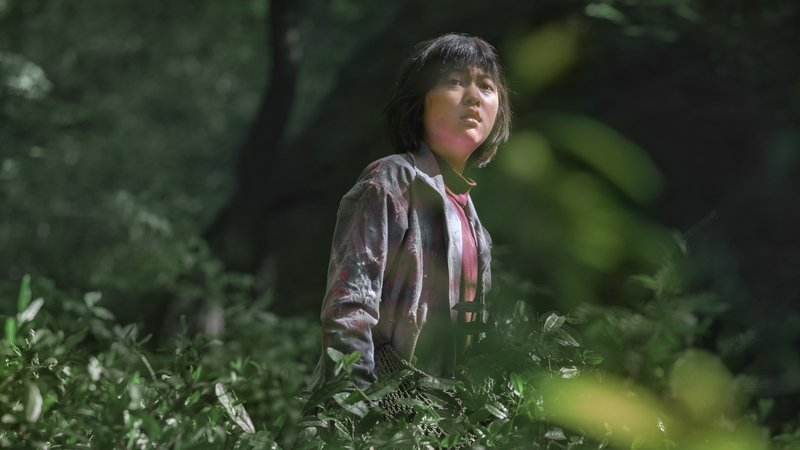 In the realm of both satisfying and fulfilling narratives, director Bong Joon Ho takes a step backward with his latest film for Netflix, Okja. His last movie, Snowpiercer tells a complete and compelling argument about the tragedy of trying to alter the forces of inertia. Three parts terrifying and one part picturesque, the sum of Snowpiercer’s parts contributes something meaningful beyond a simple joyride. Okja, on the other hand, is what it is. Propaganda is a method of leaving out key parts of a story to coerce or manipulate the viewer to fill in the missing pieces with their own experience. By becoming a part of the story-forming process, the viewer unknowingly subscribes to the original Author’s point-of-view. When done inadvertently, as it is here in Dunkirk, the technique distances the viewer and removes them from experience–unless they possess a patriotic appreciation of the United Kingdom. Regardless of intention, when you set out to show the inside of a slaughterhouse, the terror of extracting flesh samples for a taste test, and the disturbing implications of forced breeding without showing the other side of the argument—you risk creating a piece of propaganda. Okja covers the first—but fails to provide any supporting material for the other three angles. Writer and director fail to provide insight into Main Character Mija (Awn Seo-Hyun) and her perspective. Nor do they provide an outside point-of-view to challenge her justifications–a perspective key to influencing the Main Character of a story to grow. The friendship between Mija and Okja carries the potential for a meaningful connection with conflict on the Overall Story Throughline–but that relationship turns objective once the grandfather sells the pig. “I don’t expect the entire audience to convert to veganism after watching the film,” the director says. “If you consider it, even the protagonist Mija – her favourite food is chicken stew in the film. Why then, wouldn’t you make this preference for animal consumption on the part of Mija part of the story’s conflict? Tying the Main Character’s issues into the problems found in the Overall Story Throughline bridges the gap between our subjective experience and objective reality. It gives meaning and purpose to the narrative without the unintended consequences of manipulation and coercion. For those swayed by apparent propaganda, yes. A more efficient means of communicating this message lies the development of a balanced and complete narrative argument. By addressing the concerns of parties on all sides and presenting their approach to conflict in a measured and equitable manner, the Author leaves the Audience with little to argue. Readers and viewers must accept a proven argument. After watching Okja, many feel the compulsion to buy meat raised under humane standards. Unfortunately, as with most propaganda, that need fades over time. Netflix released Okja towards the end of June. It would be interesting to see how many converted vegans dropped that point-of-view after a couple of months. After I visited the slaughterhouse I turned to veganism for two months. A comprehensive understanding of the Dramatica theory of story and the Narrative First approach to working with the theory ensures a full and compelling argument.